Lightweight and Comfort is the aim of these Boots, which makes uncomfortable feet a thing of the past! 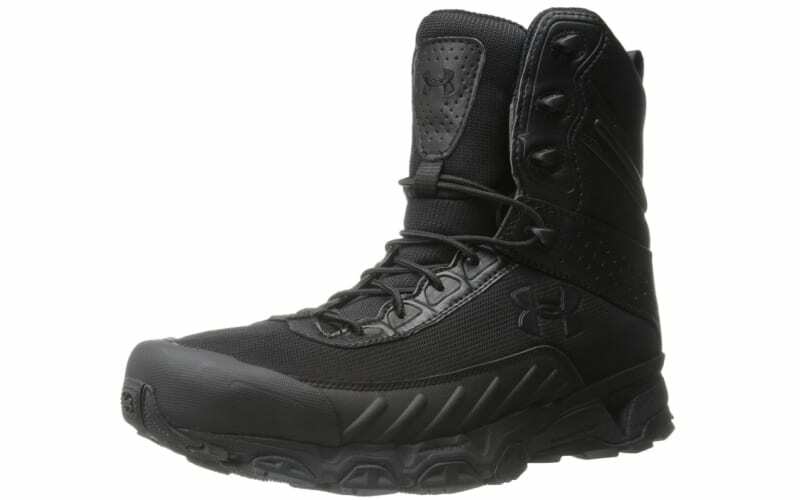 These Under Armour Tactical Boots combine their knowledge of Sports and athletics to product this awesome Duty Boot which will perform to the standard of the Under Armour brand! These Police Boots are a slimmer athletic build which provide more mobility by removing the excess fabric from areas around the Boots. They have water-resistant mesh uppers which allows the boots to remain breathable and provide superior comfort. The Boots has also been designed to keep the weight of the Boots as low as possible, which again provides that extra bit of comfort for when you have long foot patrols! So if your looking for superior comfort and lightweight police boots, these could be the perfect match for you! Have you had a pair of these boots? If so, please choose a rating and comment below to let others know your valuable feedback.